Cashew Nut Plain (150) or “kaju” in Portuguese, is one of the popular ingredients in sweet as well savory dishes worldwide. They are added in gravies to make the food creamier and are often used as a garnish in many Indian foods and desserts. Cashew nuts are especially used generously in North Indian cooking. Cashews are high in calories—100 g of nuts provide 553 calories. Delicately sweet yet crunchy and delicious, cashew nut is packed with energy, antioxidants, minerals and vitamins that are essential for robust health. They are packed with soluble dietary fiber, vitamins, minerals and numerous health-promoting phyto-chemicals that help protect from diseases and cancers. Kaju Big: Cashew nut kernels are available in big and medium sizes to meet your dietary requirements..
Cashews are often eaten on its own; raw or toasted, salted or sugared, or covered in chocolate. They are known to make great combination when had with few raisins. 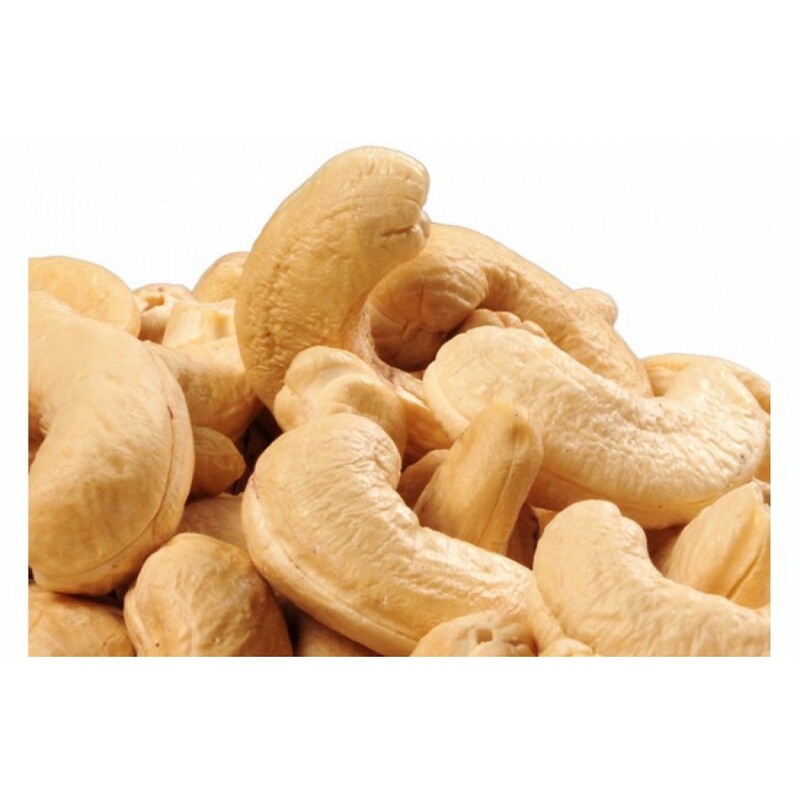 Tip: Chew cashew nuts daily to prevent deficiency disorders. Kaju Big: Cashew nut kernels are available in big and medium sizes to meet your dietary requirements. 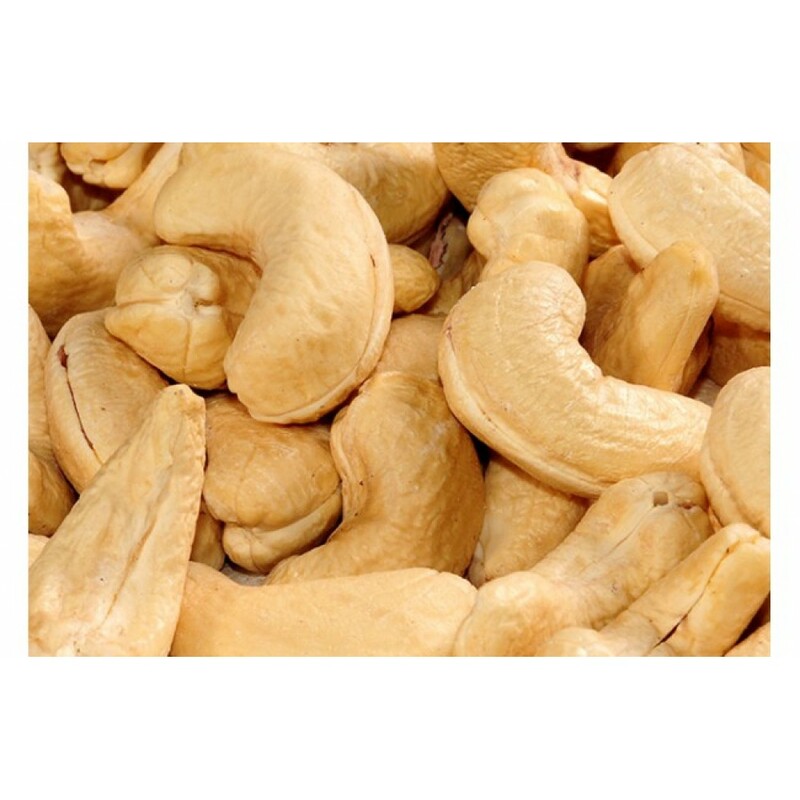 Kaju Medium: Cashew nuts are available in big and medium sizes to meet your dietary requirements. Masala Kaju: Masala kaju is a delicious Indian snack roasted to perfection with the goodness of spices such as red chilli powder, dry mango powder (amchur) etc. You can enjoy them just like that or with your favorite drink. Store in air-tight containers. Honey Kaju: Our honey-roasted cashews lend a natural sweetness and make a wholesome delicacy for any occasion or festivals. Roasted Salted Kaju: Only the finest cashews are freshly roasted to perfection and then slightly salted to give you a truly delicious taste. Chilli Kaju: Try our roasted cashews with a sprinkling of red chilli powder to spice up your evening soiree. Green Chilli Kaju: Try our roasted cashews with a sprinkling of green chilli paste to spice up your evening soiree. Chocolate Kaju: Cashews with a generous coating of chocolate are delectable, crunchy and very tasty. Kesar Kaju: Cashews are coated with saffron (kesar). Kesar Kaju Burfi is a rich and mouth melting sweet prepared from cashew nuts and milk solids flavored with a touch of saffron. 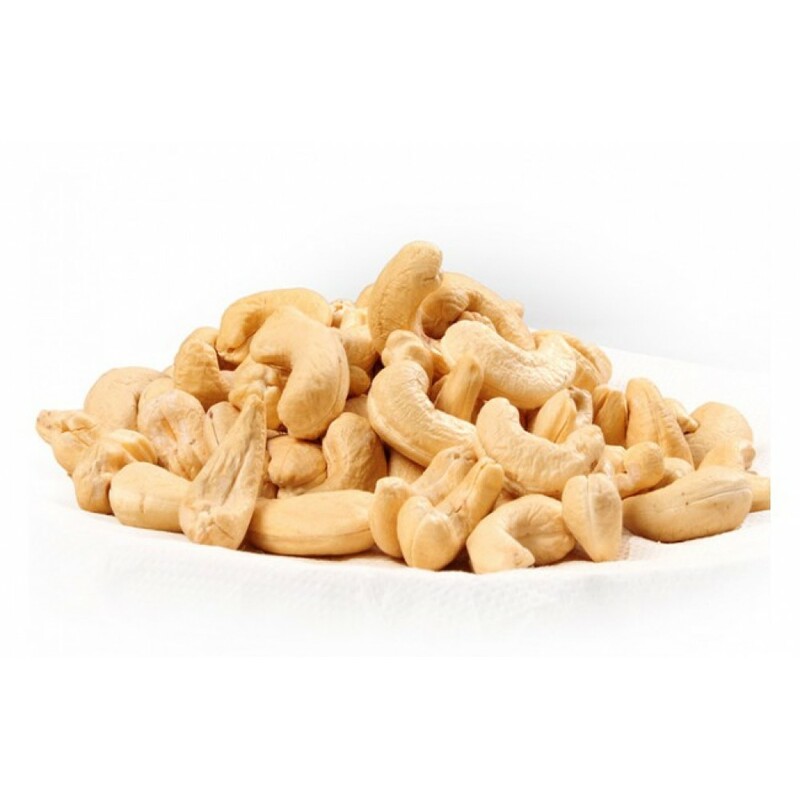 Chilka Kaju: Varieties of cashew kernels are also available with their skin.